wizzaway.co.uk is a new online travel agency that anticipates it will become a major brand in the UK OTA market. Offering a variety of holidays to multiple destinations, their aim is to offer clients the cheapest holidays available online and coupled with a great service. 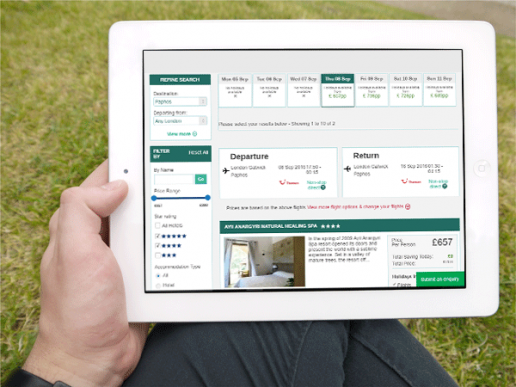 With the use of Tekcabin’s travel agency system and working with their preferred suppliers they they have the ability to offer their potential clients, hotel accommodation, flights from multiple flight suppliers, transfers and holidays extras. The large amount of feeds of suppliers means that their products can be diverse and appeal to a wide audience. wizzaway.co.uk was especially interested in the rules module that Tekcabin offers OTA’s. The advance features such as discounting based on dates, departure dates, time from booking to departure, duration, product value and more. This set of tools allows wizzaway.co.uk to benefit from higher margins where it can, and discount where it sees necessary to compete with other OTA’s.